It is all too easy to look at the United States and be led to suppose that it is impervious to internal divisions because it prefixes the adjective “united” to its name. Many people think it is immune from the regional rivalries that we associate with our interminably feuding societies. Even though the regional divide in America is decidedly less contentious than ours, there are nonetheless strong, if subdued, provincial jealousies between the American North and the American South that have been bubbling to the surface in the last few years. The more I get to know about this, the more I find parallels between America and Nigeria. The first indication I got of how the North and the South perceive each other as two separate nations within a country was when, in 2005, I informed an American friend I met at Columbia University in New York, sometime in 2003, that I was now in Louisiana. This didn’t make much sense to me. The notion of America I had come here with was of a country that had no noticeable internal differences. I had a concept of America as a country where sub-national identities were so fluid and so flexible that a New Yorker could go to Texas, for instance, and not only be a citizen, but stand the chance of being elected governor of the state, and vice versa. In short, I had thought that in America, there were no “natives” or, as we say it in Nigeria, no indigenes; only citizens. Why would an American, a white American at that, speak so disdainfully of another part of his country, and even go so as far as to say that he experiences culture shocks when he visits it? I soon found out that he was echoing the mutual contempt and distrust in which Northerners and Southerners in the United States hold each other. That outburst also caught me off guard. First, I used to associate the word “Yankee” with Americans in general. In fact, non-Americans usually interchange “American” with “Yankee” without the slightest hint that they are wrong. At first, it didn’t make any sense to me for an American—again, a white American— to deride another American as a “fu****g Yankee.” I emphasize the racial identity of Americans because Blacks generally tend to be less enthusiastic about their American citizenship than Whites. But what states constitute the South and North of the United States? Well, this is a tricky question. There is no universally accepted delineation of the South and the North. It is a shifty identity. However, it is usual to define the South to include 16 states: Louisiana, Texas, Alabama, Arkansas, Florida, Georgia, Mississippi, Tennessee, Virginia, West Virginia, South Carolina, North Carolina, Delaware, Kentucky, Maryland and Oklahoma. The 19 states usually considered Northern states are Maine, New Hampshire, Vermont, Massachusetts, Rhode Island, Connecticut, New York, New Jersey, Pennsylvania, Ohio, Indiana, Illinois, Michigan, Wisconsin, Minnesota, Iowa, North Dakota, South Dakota, and Nebraska. In reality, however, such states as Delaware, Maryland, West Virginia, Kentucky, Virginia, Missouri, and Kansas don’t easily fit into the North/South divide. Citizens of these states sometimes identify themselves in mutually exclusive regional labels. I have, for instance, two friends from Maryland, and while one calls himself a Southerner, the other calls himself a Northerner. Similarly, people in southern Virginia call themselves Southerners, but it is not unusual for people in northern Virginia to regard themselves as Northerners. The reason for this ambiguity is that, like in Nigeria, regional identity is not just a cold cartographic expression; it is also a socio-cultural, historical, and geo-political identity that sometimes mocks geography. Just like the Rivers Niger and Benue appear to be the dividing lines between the North and the South in Nigeria, the American North and South are divided by what is called the Mason-Dixon Line. It was, still is, the symbolic dividing line between the North and the South around Virginia and Pennsylvania before the American Civil War. In many ways, it is like Rivers Niger and Benue in terms of symbolic significance. Such states as Benue, Taraba, etc., for instance, would be regarded as eastern by a cartographer’s unaided imagination, just like Kwara, Kogi and parts of Niger would be considered western. However, these states are both notionally and geo-politically in the North. The equivalents of that in the United States are states like Maryland and Virginia, which are geographically in the North but are geo-politically in the South. In fact, Virginia used to be the political and military headquarters of the South during the American Civil War. In many significant respects, the American South reminds me of Northern Nigeria (with a few obvious exceptions) while the American North reminds me of the Nigerian South. In size, the American South, like Northern Nigeria, is a geographical behemoth, while the North, also called New England states, is a comparatively small geographical space. (I have heard the joke several times here that a ranch in Texas is many times bigger than the state of Rhode Island). Again, like Northern Nigeria, the American South is noticeably religious, culturally conservative, and emotionally attached to its socio-historical identity. The North, on the other hand, like the Nigerian South, is more urban, culturally liberal, and less attached to prefixed cultural values. In the American South, the weather and the people tend to be warm—literally and figuratively. The North, on the other hand, is the opposite. Not only is the weather cold; the people are also cold. Politically, the South is savvier than the North. It has produced more presidents than any region, including nine of the first 12 presidents of the United States. However, after enmeshing itself in a four-year devastating Civil War, which pitted it against the North, it did not produce a president for nearly 100 years until 1976. The rest of the country was reluctant to trust a Southerner with the presidency of the country after the Civil War. This reminds me of the fate of the Igbos. 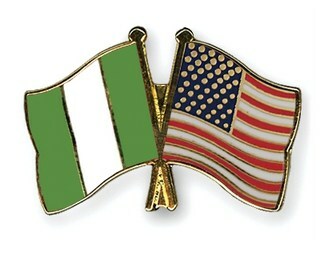 And that is where the American South’s main difference with Northern Nigerian comes in.